When people think of Jordan the first things that come to mind are Petra and the Dead Sea. 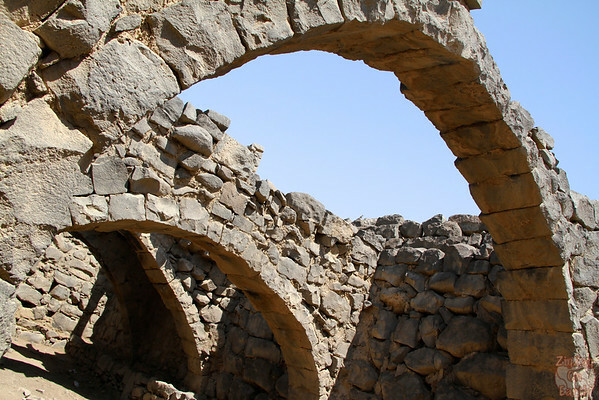 But Jordan has much more to offer such as the intriguing Desert Castles. 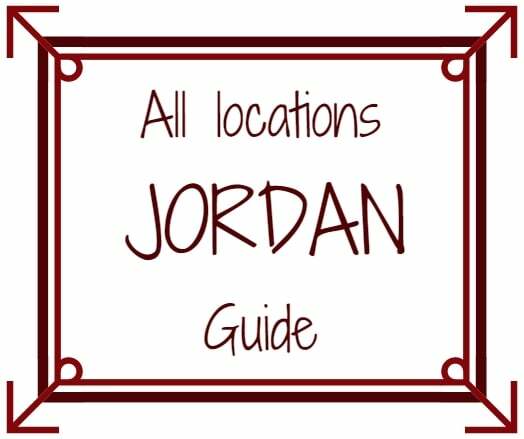 I had one day before my tour of Jordan started and decided to discover those monuments that sounded mysterious. 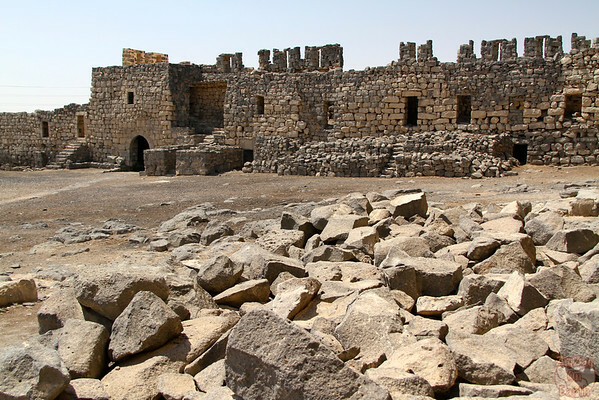 On my first morning in Jordan, I left Amman with my driver and we toured 3 of the desert castles : Qasr Kharana, Qasr Amra and Qasr Azraq.The scenery during the road trip is completely flat, not my favorite type of desert. However it is worth the drive to discover those steady structures in the middle of nowhere (for some of them). Qasr Kharana and Qasr Amra have accredited guides. 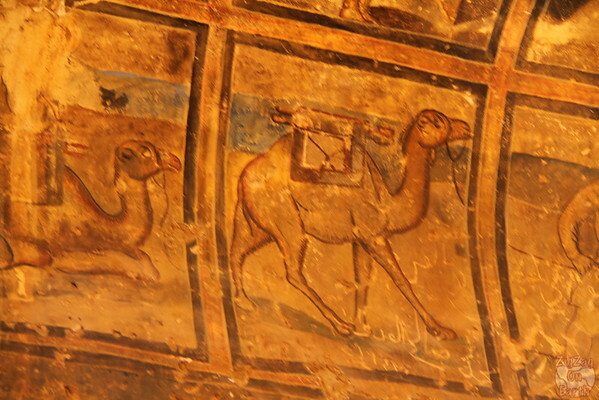 I think it can be particularly interesting for the second one Qasr Amra, but I did not try. For Qasr Azraq, my driver told that there is no guide, that one of the security will offer a tour but he is not a guide. Someone actually offered me to guide me but I refused so I can’t tell you if he can share interesting information. Before doing my trip I read reviews about those desert castles and opinions vary greatly about the favorite. It varies based on your style and point of interests. Mine was Qasr Azraq.
. 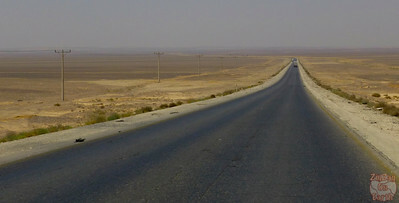 Note that it is also quite close to the road so taking a picture of it as if in the middle of the desert (which it is, except for the road and the electric cables). You can enter the building and see some of the « rooms » and few carvings. 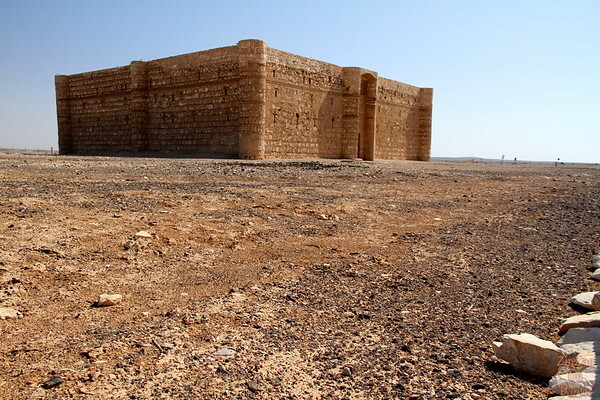 Qasr Amra, often Quseir Amra or Qusayr Amra is more like a summer house. It is listed at the Unesco patrimonial. 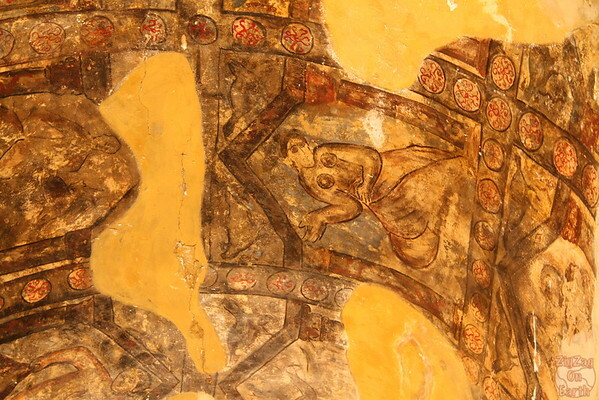 It is quite small but contains pretty interesting frescoes, especially for an islamic culture. It also displays a system to get water. I was surprised to spot some beautiful white butterflies in this very dry and flat desert around the castle . 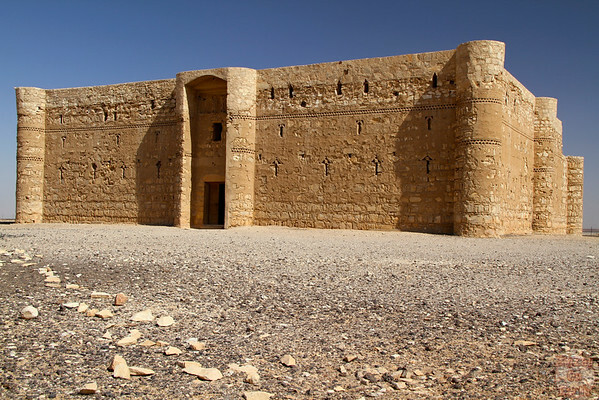 The 3rd castle I visited, Qasr Azraq, was quite different from the 2 others. This one is built with darker stones and stands in a small town. I really enjoyed the piling of stones and the sections with beautiful arches. I was really wondering how all that was still standing! Would you call them castles?